This news-blog is now retired. The revamped AASRN website (aasrn.wordpress.com) now has its own "News" functionality and all Asian Australian Studies news + announcements will be updated there. This news-blog remains as an archival resource, but will no longer be updated. Analyzing for the first time the relationship between the tangata whenua and the country’s earliest non-European immigrant group, this study investigates how two different marginalized groups in New Zealand society—the Maori and the Chinese—have interacted over the last 150 years. Various aspects are explored, such as how Maori newspapers have portrayed Chinese publications and vice versa, the changing demography of Chinese and Maori populations, Maori-Chinese marriages, and the ancient migration of both groups. The ethnically diverse contributors—from Maori to Chinese to European scholars—tackle numerous questions from many angles as well, such as Do the Maori resent Chinese immigrants? 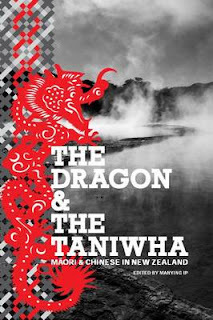 Do Chinese New Zealanders understand the role of the tangata whenua? and Have Maori and Chinese formed alliances based on common values and history? The result is an engaging portrait of the past and present relationships between two important peoples. Since race relations in New Zealand have usually been examined in terms of Maori and Pakeha, this unique exploration of Maori–Chinese relations portrays a much richer and more complex social fabric. Manying Ip came to New Zealand in 1974 from Hong Kong where her family lived for five generations. Her interest in Maori-Chinese interactions started from the mid 1980s when she conducted extensive qualitative interviews among the pioneering Chinese families, which grew ever stronger with the immigration and ethnic identity debates of the recent decade. She is Associate Professor in Asian Studies at The University of Auckland and the author of several critically acclaimed books on Chinese in New Zealand. These include: Aliens At My Table: Asians as New Zealanders See Them (2005), Unfolding Identity, Evolving Identity: The Chinese in New Zealand (2003) as well as numerous journal articles and book chapters on issues pertaining to recent Asian immigrants. She is a respected advocate for Chinese communities living in New Zealand. A festival celebrating the diversity of Victoria’s Indonesian community. Join in this one-day festival celebrating the diversity of Victoria’s Indonesian community, through performances, activities and food. From north to south and east to west – or, as the Indonesians say, “from Sabang to Merauke” – each of the more than 13,500 islands of the Indonesian archipelago has its own character and traditions. Experience the breadth of Indonesian local cultures and customs, and see how the community continues to practise these in Melbourne and Victoria – the sounds of the gamelan orchestra, the taste of Indonesian food, shadow puppetry, as well as dances and crafts from various parts of the country. You can learn some moves in a dance workshop, or have a go at pencak silat (a form of martial arts). 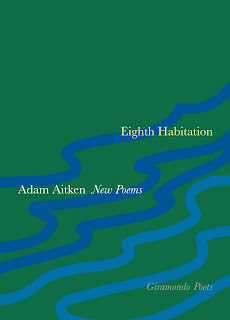 ADAM AITKEN's new collection of poems, Eighth Habitation, is published this week by Giramondo Press. The launch will be held at Gleebooks, 49 Glebe Point Rd, Glebe, on Sunday, 5 April 2009, 3.30 for 4pm. Marcelle Freiman will be launching the new publication. "Eighth Habitation takes its name from the Buddhist notion of purgatory, a mystic realm where the meaning of human lives are judged. The poems inhabit a range of landscapes and perspectives, in Indonesia, Cambodia, Thailand and China, with an empathy and understanding that suggests a consciousness imbued with an Asian sensibility. Blending the cosmopolitan, the traditional and the unexpected, in their accumulation of detail they register the dignity and resilience of a world recovering from personal tragedy and the trauma of history. Adam Aitken grew up in London, Thailand and Malaysia, before coming to Australia in 1968. His collection Romeo and Juliet in Subtitles, was shortlisted for the South Australian Festival Award for poetry and the Age Book of the Year Award. Eighth Habitation is his fourth collection." Deakin University will be holding the 2009 Australian Chinese Political Participation Conference on 15-16 August 2009. You can download an invitation and conference information sheet (both in English and Chinese) HERE [PDF; 220Kb]. It would be much appreciated if you could distribute this flyer to your colleagues or friends who might be interested in getting involved. We hope to bring together people from various areas (including politicians, community leaders, and scholars ) to present and exchange their opinions on the relevant topics. Their opinions, achievements and experiences are valued and important not only to academic study but also to political practice, especially the future practice of Chinese political practice. We look forward to your participation in this great event of 2009 which may be one of the milestones in the history of Chinese political participation. The UTS Indian Ocean and South Asia Research Network will be launched by Sujatha Singh, High Commissioner of India, as part of the "Intercolonial Networks; Oceanic Circulations: Rethinking the Indian Ocean" conference on Wednesday, 11th March, 5 pm. See conference documents below. ==> D'load conference flyer HERE (275Kb; Word doc). ==> D'load conference program HERE (274Kb; Word doc). >> Visit the publisher's website: SSS Publications. We are planning a book of essays that present fresh perspectives on the production of narratives about China in the United States (or about China-US relations) and about the United States in China. Obviously, this book would contribute to an already extensive literature, but there are always extraordinary episodes that change the process. We are in a post-Olympic, economic meltdown moment, and in a context with seemingly large scale political change. Who are the dominant actors and players, such as public intellectuals, media professionals, NGOs, the governments, business sectors, tourists and educators that tell such narratives and shape such perceptions and opinions? What are some of the most important processes in shaping stories and perceptions? What are the differences and similarities in terms of how actors shape perceptions and tell stories in both countries about each others? We are calling for contributors to write book chapters that are historical, theoretical or include specific case studies. These could be about specific governmental efforts to alter public consciousness at home or in its counterpart on these questions. Ultimately, we seek varied voices on how national narrative toward the US in China and that toward China in the US are produced and reproduced by different players in social, political, economic, and cultural arenas in the context of increasing global information flows. The book should be about how the US and China produce and reproduce each other through various societal segments, including but not limited to educational programs, cultural exchange, economic sectors, the governments, non-governmental organizations, tourism and the media. Now is an important moment to examine national narratives about the US in China and about China in the US. There are two overarching forces that motivate and shape this volume. The first is the continued rise of China as a global superpower, especially in the wake of the Olympics and in the context of the current, global financial crisis. The second is the Obama administration and its plans to re-engineer the image of the US abroad. The book not only examines various narratives in flux, but also the processes and actors shaping the narratives. The three-part book volume will contain larger conceptual essays and detailed case studies. Part I deals with broader theoretical concepts regarding national narratives of the US in China and of China in the US by Chinese and American authors. In addition to general images, issues such as nationalism, patriotism, exceptionalism and universalism can also be addressed in this section. Part II discusses actors and processes in shaping national images and narratives and Part II are cases studies that are geared frameworks and concepts in Part I and Part II. If you are interested, please send a 1000-word proposal to Hongmei Li and Monroe Price by March 5, 2009. We will make the final decisions by March 15. The book is planned for publication by the end of 2009. The Mixed Roots Film & Literary Festival is NOW ACCEPTING SUBMISSIONS! The largest west coast Loving Day celebration kicks off the 2nd Annual Mixed Roots Film & Literary Festival on June 12 through 13, 2009. The Festival celebrates storytelling of the Mixed racial and cultural experience and brings together innovative artists, film and book lovers, and families for two days of writing and film workshops, readings, film screenings, a special family event and live performance by talented comedians, musicians and actors. All events are free and open to the public. WE ARE CURRENTLY ACCEPTING FILM, LITERARY, LIVE PERFORMANCE, WORKSHOP AND EVENT SUBMISSIONS. Applications for 2010 Harold White Fellowships at the National Library of Australia are now open, and close on 30 April 2009. Each year several Harold White Fellowships are awarded to enable established scholars and writers to undertake research at the National Library for periods of between three and six months. The Fellowships provide a return economy fare to Canberra, a living allowance, a fully equipped office and special access to Library collections and services. Honorary Fellowships are also awarded to scholars and writers who do not require financial assistance but would benefit from other privileges associated with the Fellowship. Research projects supported by Harold White Fellowships can be in any discipline or area in which the Library has strong collections. Past Harold White Fellows have undertaken research in fields including Asian studies, history of science, biography, media history, Australian history, musicology, religious history, anthropology, children’s literature, art history, politics, Indigenous history, Australian literature, Pacific studies, eighteenth century studies, geography, international relations and folklore. Past Fellows have included leading Australian creative writers including Frank Moorhouse, Sara Dowse and David Foster. Fellowships have been awarded to researchers working across Australia, in the USA, Canada, the UK, New Zealand, Hong Kong, China, Germany and South Africa. It gives us immense pleasure to inform you that the Department of English, Dayanand College, Ajmer proposes to bring out the next issue of Lemuria- A Half yearly Journal of Indo-Australian Studies in October 2009. We would welcome your scholarly self to kindly contribute an article/ book review/ write-up or creative piece for the issue. THE DEADLINE FOR THE CONTRIBUTIONS IS 30th July, 2009. Opening 4 p.m. Friday 20th February, 2009 and continuing until the 6th of March Anthony S.W. Lau Exhibition Hall, University of Macau Library. The books will be launched by Professor Robert Antony of the university's History Department. The launch will be followed by readings from The River Considered as Sea in English, Chinese and Portuguese by Professor Kelen and by Professors Espandinha and Yao Jing Ming, and also by Ms Hilda Tam - all of whom worked as translators on this project. Near and Far – and Mainly Macao is a joint retrospective exhibition presenting solo and collaborative works by Carol Archer and Christopher Kelen. The works were created over the last ten years and most of them were previously shown at various exhibitions at the Fringe Club in Hong Kong, at Macao's CCI Gallery, at the Albergue Gallery in Macao and here at the University of Macau. Carol Archer's book Work of Macao Hands presents a collection of watercolours offering close-up views of Macao, while Kit Kelen's The River Considered as Sea, a ten-part poem with ink and watercolour pictures, renders Macao at a distance. The State Library of Queensland has recently advertised its awards program for 2009.
and the John Oxley Library Fellowship ($20,000). Further information, nominations and application forms can be found by following the links above. Nominations open Monday 26 January 2009 and close at 5pm, Friday 20 March 2009. In 1984, noted historian Jennifer Cushman challenged researchers to move beyond the prevalent one-dimensional approach to understanding the Chinese presence in Australia—an approach that was primarily concerned with examining Australia’s attitudes towards the Chinese. In taking up this challenge, and seeking to understand the Chinese ‘on their own terms’, researchers have uncovered new sources and applied inter-disciplinary approaches to reveal the complex picture of Chinese community cultures, identities and race relations in Australia. While we would no longer say that the history of the Chinese in Australia is hidden or neglected, where do these new stories fit within the wider narrative of Australian history? What are the challenges involved in communicating and interpreting these new perspectives, with their inherent complexity and contradictions, to broader audiences? One of the major aims of this conference is to bring together these new historical understandings about early Chinese-Australians, and consider their place within broader histories of Australia and the Chinese diaspora. Another aim is to create a forum for how these stories might be interpreted in the classroom, and at cultural heritage sites and museums. This conference welcomes papers from a wide range of disciplines, including history, archeology, tourism, cultural studies, education, and museum/heritage studies. Tells about early Chinese-Australian history from Chinese-Australian perspectives. Discusses Chinese-Australian heritage/history within broader perspectives (e.g. Australian, Chinese, comparative, and/or transnational). Draws on new resources to tell new stories. Focuses on intercolonial (Northern Territory and Queensland) and/or trans-Tasman connections. Papers – Standard session presentations should be 20 mins long (with 10 mins allowed for question time). Abstracts (max 200 words), with speakers’ full contact details and short biographical notes (max 100 words) should be sent to keirreeves@iprimus.com.au BY MONDAY 18 MAY 2009. The Asian Australian Studies Research Network, in collaboration with the Centre for Advanced Studies in Australia, Asia and the Pacific (CASAAP), Curtin University, invites submissions for the Regionalising Asian Australian Identities conference, to be held at Curtin University of Technology, Perth, Australia, from 13-14 November 2009. Building on the momentum of previous successful Asian Australian Identities conferences, AAI3 considers the importance of understanding Asian Australian identities and communities within both regional and transnational contexts. In holding the 2009 conference in Western Australia, we are particularly mindful of the rhetoric of the rise of ‘Asia’ which has sustained much of the State’s (and nation’s) boom years. From distanciation to fascination and engagement, Australia’s relationship to Asia continues to inform the culture and politics of the nation. At the same time, the conference theme also reminds us to look into our own backyards and to consider the often neglected histories of the nation’s own regional encounters with Asians, in particular Asian-Indigenous interactions in the north of Australia. How does the articulation of ‘Asian Australian identities’ fit within these shifting terrains? And how might we reconsider Australia’s relationship to Asia and to its own local regions in new and productive ways, particularly as it affects identity formation? As Asian Australian studies comes of age, what new pathways will the field take? Do we (continue to) learn from the direction Asian American studies has taken? Does Asian Australian studies have a role to play in the growth of Inter-Asia cultural studies? What kinds of conversations might scholars in Asian Australian studies have with their counterparts in North America, Europe and Asia, as well as with ‘locals’ from regional parts of Australia? We invite papers from all disciplines that explore the regionalising of Asian Australian identities, cultures and politics. We also value the participation of creative practitioners across the various fields of Asian Australian cultural production. Notifications will be sent by 31 July. Please contact Olivia Khoo for more information. The Department of Sociology at the University of Oxford seeks to appoint a University Lecturer in Sociology, specializing either in the field of ethnicity or in one of the other areas of departmental interest (social inequality and stratification, political sociology, economic sociology, the study of extralegal forms of governance or economic activities). The appointee will also be offered a Fellowship at Nuffield College. The anticipated starting date is 1 October 2009, or as soon as possible thereafter. The University salary is in the range £35,520-47,736. The post-holder will also receive a pensionable academic allowance from the College of £20,361 per annum. Applicants should have a doctorate or equivalent, a strong record of research achievement at an international level, including the demonstrated capacity to publish in top-rated journals and with first class University presses. The successful candidate should have the ability and experience necessary to teach mainly at the graduate level, to supervise doctoral students, and to win external research funding. Further information is available at www.admin.ox.ac.uk/fp/, including details on how to apply. The closing date for applications is 12 Noon on Friday 20th February 2009. July 6-9, 2009,Oxford. (Deadline:2009-02-06) ending soon! Have you been working on an article over summer? Beginning to think about where to place it? Continuum is currently looking for new material. Continuum expanded to 6 issues in 2008, allowing the journal to reduce lead-times to publication. In most cases, successful summer submissions will result in 2009 publication. As the affiliated journal of the Cultural Studies Association of Australasia, the journal is circulated in hard copy to all members, putting your work directly before those who will read it with most interest. A good example is the recent issue (22.6) proceeding from the 2007 CSAA Conference ‘Sustaining Culture’ held in Adelaide. Congratulations to Susan Luckman for bringing together an excellent collection. With extensive electronic distribution as a Taylor & Francis title, the journal also has excellent international exposure, being circulated to some 23,000 libraries world wide. Or send a manuscript with author details to Mark.Gibson@arts.monash.edu.au or Mark Gibson, National Centre for Australian Studies, Monash University, Caulfield East, Victoria 3145. Continuum will also shortly be reviewing special issue proposals for 2009-2010. Running a seminar? An innovative conference panel? Want to push forward a new theme or idea in media and cultural studies? If so, then please also discuss your ideas with the editorial team. NEW JOURNAL ISSUE and CFP - Peril - Issue 6 "passing, failing" now online; CFP for Issue 7 "Fashion Fetish"
NEW ISSUE OF PERIL NOW ONLINE! "The new edition of Peril has been released. Edition 6 - Passing, Failing - will be published at 12:15am on January 11. We managed to catch Nam Le for a short interview, and attract a variety of short prose pieces and poetry in response to the theme. We talked to Mai Long, a Vietnamese-Australian artist who caused some controversy with her Pho Dogs which was covered by Lateline in December 2008. A cultural critique of The Jammed is also included. We invite people to comment on our commentary with their views. Peril's web address has also changed. Peril can be found at http://www.peril.com.au/ Peril's former address, http://www.asianaustralian.org/ will still work. For those who are interested, Peril also has new software behind it. Unfortunately, it wasn't possible to transfer your email accounts from the old software to the new software. We invite you to re-register to be on Peril's email list. We wish everyone a Happy New Year of the Ox and look forward to hearing from you." Call for Submissions - Peril #7 - "Fashion Fetish"
'Fashion Fetish' is the theme for Peril Issue 7! Love it or hate it, everyone has an opinion on fashion and fads. Is it, as Bowie says, big, bland, loud and tasteless? Or is it the realm of risk-takers and visionaries? Do you follow or buck trends? Is Oriental in (yet again) this year? Are we talking clothes or cultures? 'So hot right now' – lure or deterrent? What's class got to do with it? Let's see and hear what you think about 'Fashion Fetish' – write, create, draw, compose, collaborate! We accept submissions of any kind of text, sound or visual art, as long as it can be presented online (e.g. essays, blog entries, reflections, poetry, fiction, memoir, spoken word tracks, photos, etc.). Text limit is 1000 words, preferably submitted in .txt format. We are fortunate enough to have two issues sponsored by the Australia Council this year, and will be paying contributors for Issues 7 and 8. Issue 8's theme will be "Why are people so unkind?" JOIN US TO CELEBRATE CHINESE NEW YEAR! 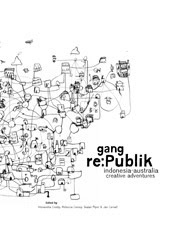 A brand new anthology of creative exchange from Indonesia and Australia with 200 pages of previously unpublished essays, stories, conversations and illustrations from over 40 fabulous contributors. This is a very limited edition (only 200 copies in circulation) so order fast! Published in 2008 by Gang Festival Inc.
Brian Castro is one of the most innovative and challenging novelists writing in English today. By virtue of his childhood migration from Hong Kong to Australia, he is an Australian writer, but he writes from the margins of what might be termed mainstream Australian literature. In an Australian context, Castro has been linked with Patrick White because like White he is an intellectual, deeply ironic, modernist writer. His writing can also be comfortably situated within a wider circle of (largely European) modernist works by Marcel Proust, Franz Kafka, Walter Benjamin, Virginia Woolf, Thomas Mann, James Joyce, Gustav Flaubert, Vladimir Nabokov, W. G. Sebald, and the list goes on. Castro’s writing conducts richly intertextual conversations with these writers and their work. Castro’s writing is linguistically and structurally adventurous. He revels in the ability of good experimental writing to open up imaginative possibilities for the reader. He strives always to encourage his reader’s imagination to embrace heterogeneity and uncertainty. His extensive engagement with the great modernist writers of the 20th century, combined with his Australian-Chinese cross-cultural concerns make his work unique amongst Australian writers. Bernadette Brennan is a Lecturer in Australian Literature at the University of Sydney. Her current research interest is in the field of Literature and Ethics. She has published widely in Australian Literary Studies, JASAL, Southerly, Antipodes and The Round Table: The Commonwealth Journal of International Affairs, Departures: How Australia Reinvents Itself (MUP 2002), Australian Literature and the Public Sphere (ASAL 1998) and Australian Writing and the City (ASAL 1999). She has co-edited JASAL (2005) and Southerly (2007) and is on the Editorial Board for Studies in Australasian Cinema. Bernadette’s edited collection Just Words? : Australian Authors Writing for Justice was published by UQP in January 2008. Other publications in 2008 include an edited collection of Noel Rowe’s critical essays and Brian Castro's Fiction: The Seductive Play of Language (Cambria Press). Once They Hear My Name is a step forward in our collective understanding of the cultural hurdles international adoptees tackle every day. In their own words, the nine Korean adoptees of Once They Hear My Name talk about how they became the adults they are today, speaking candidly about acceptance and rejection, about life struggles and successes, about experiences unique to each yet connected by common threads. At their core these stories chronicle adoptees’ ongoing, and often difficult, quests to discover who they are. Growing up, they initially viewed themselves as typical American kids at home with baseball, pizza, playing with dolls and the rest. But often their peers - and sometimes members of their own families - saw them as strangers, good targets for ugly stereotypes. Many of the nine adoptees chronicle their trips as adults back to Korea to find their roots and, in some cases, their birth families. These journeys yield mixed emotional results. The narratives illustrate the wide variety of ways all adoptees, not just those from Korea, and all Americans with cultural roots in Asia, wrestle with identity issues. The global knowledge-based economy produces profound challenges to work-related education at every level. While these challenges manifest themselves in uniquely local ways at specific local sites, they are produced, and must be addressed, in contexts that are uncompromisingly global. If work-related education is to contribute to positive outcomes for people and for local communities we (workers, corporations, educators, researchers, policy makers, politicians and international organisations) must find new ways to pay attention to the ways in which a workforce in the knowledge-based economy can be understood to be ‘global’ as well as ‘local’, and what workers need to be able to know and be able to do to move across and within these spatial and temporal domains. Clearly all aspects of education and training, including language and multi-cultural education, are being recruited to support and develop a knowledge-based economy. What educators, employers and policy makers at national, regional and international levels need to do now is to cast a critical eye over the past and to consider, with far grater clarity than we have managed in the past, what role work-related education should play in the future. As part of those deliberations we need to consider who work-related education is intended to benefit and what kinds of knowledge-based economies it should be helping to build. Language and multi-cultural education plays an essential part in those deliberations. Being an international language, English has played an important role in educating the global workforce. This conference, in particular, aims to understand the use and ownership of English by different players in the workplace, and the ways in which English has both been a facilitating and colonising means in workplace education at national, regional and global levels. Taking a critical look at these issues in itself responds to ethical concerns that the conference also targets to address. One of the ethical concerns related to the role of English in educating the global workforce relates to the diminishing role of other languages and associated cultures and practices which are at risk due to the dominant status of English. For local communities to be ‘global’ as well as ‘local’, work-related education must acknowledge and promote the important role of education conducted in local and other foreign languages. Multicultural education also needs to be given more emphasis and made more explicit in educational policies. This conference wishes to bring together the voices of researchers, educators, policy makers, international organisations, enterprises and corporations operating in Asia on various aspects of work-related education in educating local communities in global economies. These aspects include what is involved and what is at stake when global corporations, NGOs, national education systems and local communities attempt to educate individuals and workforces to engage in the global economy. We are particularly interested in identifying and understanding the role of multicultural education, English, local languages and other foreign languages in the education of a global workforce and the ethical issues involved in educating a global workforce for the global economy from the perspectives of the Global South, starting with Asia as the initial site for this conference. This conference will enable publication of a special issue in an international journal. A full conference program will be sent to you after 1st February 2009. The conference organisers will also assist you with accommodation booking and tour arrangements in Vietnam. Thank you for your interest in the conference. We look forward to your participation.